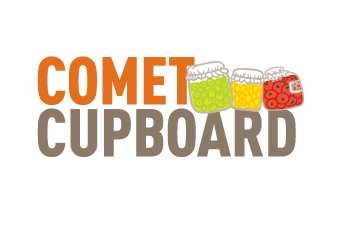 Comet Cupboard has raised $ 617 from 10 gifts! 44% cut the size of or skipped their meals because they didn’t have enough money to buy food. 35% felt hungry but didn’t eat because they didn’t have enough money to buy food. 20% did not eat for a whole day because they didn’t have enough money to buy food. 53% report missing a class because of hunger or housing problems. 55% did not buy a required textbook because of hunger or housing problems. 25% dropped a class because of hunger or housing problems. A student-led initiative, the Comet Cupboard, a campus food pantry, is dedicated to helping students in need. Its primary mission is to provide necessary food and personal care items to members of the University community, but its impact reaches much further. The Comet Cupboard acts as a service-learning component of the undergraduate academic experience and strives to cultivate a campus culture where the community is valued above individualism. The Comet Cupboard began operations in 2012. Since then, the program has experienced tremendous growth and response from the UT Dallas community. Each week the Cupboard distributes over 1,000 food and personal care items to students in need. To provide this invaluable service, the center relies on donations from individuals and groups who share the common goal of eliminating hunger on the UT Dallas campus. Your gift will allow the Cupboard to ensure a stock of much-needed food items for hungry Comets. Thank you!